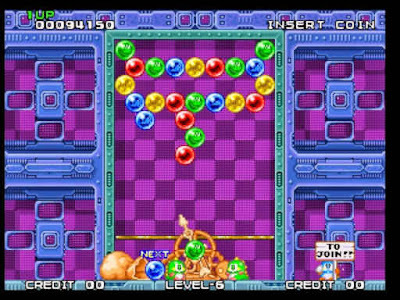 Puzzle Bobble Neo Geo Rom Game is a bubble shooter games which could be played in Android and Computer through an emulator and I am giving the full download link with easy instructions. 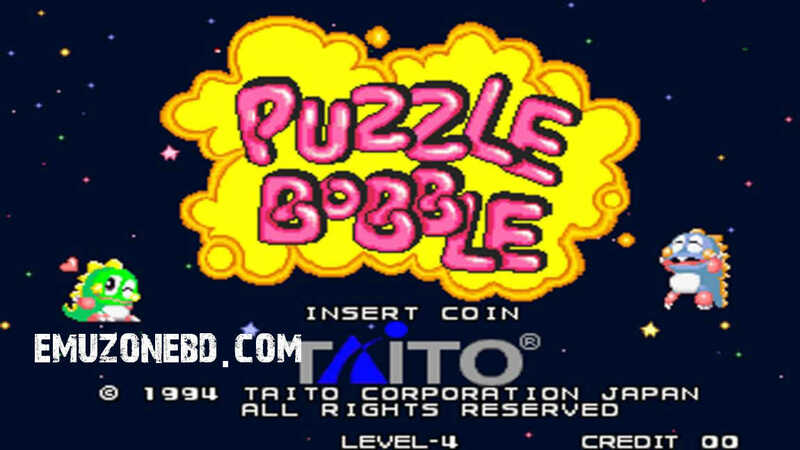 In this modern era, there are hundreds of bubble shooting game available but you won't get the full fun without this old arcade game Puzzle Bobble. This game is developed by the famous Taito Corporation Company. You can play it both Computer and Android through Emulator. This is a multiplayer game and you can challenge your friend in this game and play through GamePad. 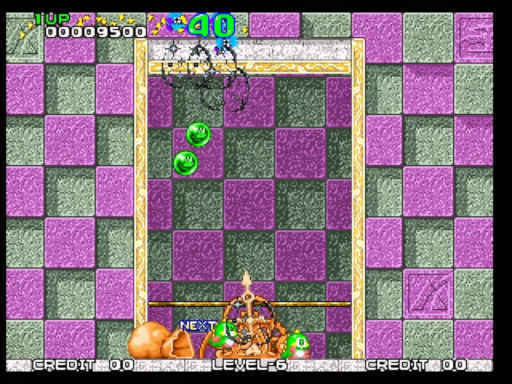 It is another famous multiplayer game made by Taito. If you have played Neo Bomberman and get fun then it will also make a little enjoyment to play. The main rule of this game is you have to shoot all the bubble and finish them to go to the next level. You have to complete all level before time run out or you will be failed. 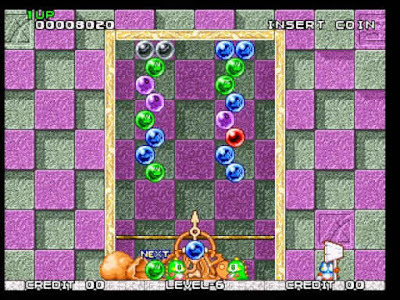 And in the multiplayer game, you have to shoot all the bubbles before your friends do. Practice it before a big match. I know that this is not a High-quality 3D Game like PUBG Mobile which you used to play in your Android or PC but it is still popular with thousands of people. Extract it using Winrar or 7zip and you will get some files and folder, don't change or delete anything from it. Copy Pbobblen.zip in the ROM folder you got from the first file. Click on NeoRageX and open the software. Now setup control as your comfortable mode. Click Import and Find Puzzle Bobble from the list in the left side. If you have properly done all the method the name of the game will show as a light grey color. Now select the game and click on Launch, that's all. Then install and Minimize it by pressing the home button. Then download Puzzle Bobble ROM pbobblen.zip 4MB. Note: This is the same file I shared for Computer. And also download bios file neogeo.zip 132KB. If you have found then click on pbubblen.zip and start playing.